South Korea’s major banking-finance groups are kicking off their annual shareholders meetings this week, with projections of smooth proceedings to formalize predetermined events including the appointment of new CEOs. The banking sector’s shareholders meetings this year see a stark change of mood from last year’s events, when high-stake issues such as group leadership changes and corporate governance problems were on the table. But the groups’ shareholders are also expected to voice concerns over the declining stock prices of listed financial companies under the banking groups, demanding more efforts to shore up the companies’ market value. Hana Financial Group is kicking off the season with a shareholders meeting slated for Friday. Shinhan Financial Group, KB Financial Group and Woori Bank are scheduled to hold their meetings next week on March 27. Woori Financial Group, which was formed in January as Woori Bank took on a holding company structure, is not holding a separate shareholder meeting this year. The biggest agenda on the table now is the formal appointment of new CEOs at the major commercial banks, which constitute the core of the four Korean banking groups. The new CEOs are widely expected to be voted without issue at the meetings. KEB Hana Bank has nominated Ji Sung-kyoo, vice president of global business, as its new CEO. He will replace the bank’s incumbent CEO Ham Young-joo, who had served two consecutive terms. Ham will retain his post as a vice president of Hana Financial. There had been signs of potential tension as the Financial Supervisory Service had expressed concerns over Hana’s hopes to reappoint Ham as the bank’s chief for the third time, citing his implication in an ongoing trial regarding the bank’s hiring scandal. But the standoff with the FSS effectively ended when Ham himself refused KEB Hana Bank’s nomination, making way for the exclusive nomination of Jin. Jin will be formally voted in as CEO during a separate shareholders meeting for KEB Hana Bank on Thursday. Shinhan Group has nominated its vice president Jin Ok-dong as the new CEO of Shinhan Bank. Jin will be replacing outgoing CEO Wi Sung-ho, who is scheduled to step down and become an advisor at Shinhan Bank. The outside director appointment process is also expected to go smoothly. 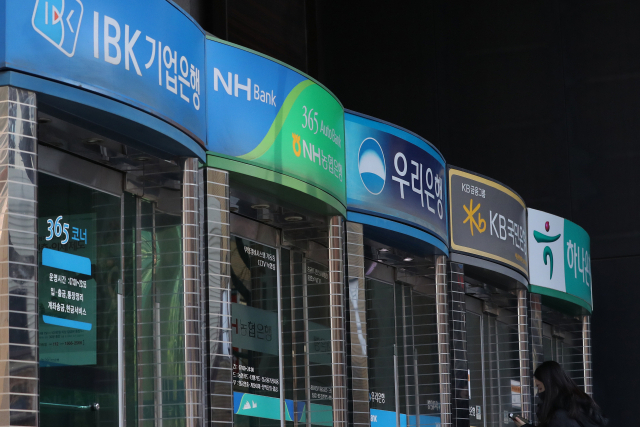 Just four new outside directors are being added at the banking groups this year — three from Shinhan Financial and one from KB Financial. Some groups are also increasing the total number of outside directors on its board. Shinhan will be adding one more outside director, raising the total from 10 to 11. Hana Financial is also adding one more outside director to its board, raising to total from 7 to 8. Meanwhile, dividend issues are expected to pass without much controversy from shareholders, as the banking groups issued generous dividends last year reflecting their record-high net profit. The four banking groups together issued 2.52 trillion won ($2.22 billion) last year, marking an 8.8 percent rise from the previous year. The banking groups’ dividend payout ratio, the measure of dividends paid out to investors relative to the company’s net income, also saw an overall increase last year. Hana, Shinhan and KB all increased their payouts in 2018, with Hana holding the highest dividend payout ratio of 25.5 percent, followed by KB Financial at 24.8 percent and Shinhan Financial at 23.9 percent. Woori’s dividend payout ratio last year was 21.5 percent, marking a decrease from 2017. Woori was seen as saving up cash to fund its acquisition activities, which are currently central to the group’s expansion strategy.